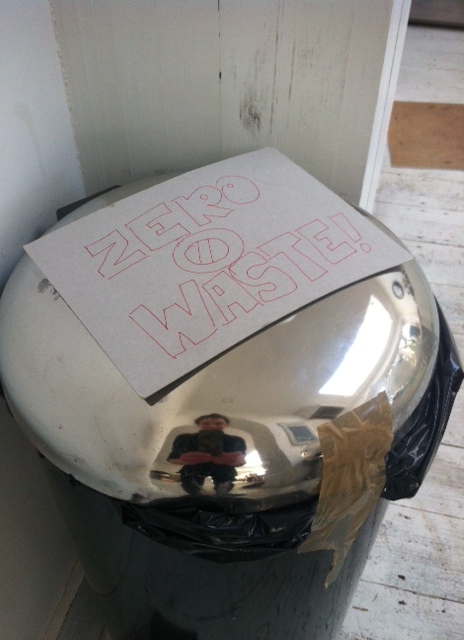 So its day two of my zero waste week, and if I am honest, I have already skirted a couple of issues on my challenge. Some of them I just didn’t notice yesterday and whilst they didn’t generate any waste at the time, there could be waste in the future from them, and some of them I willingly ignored for my sanity (I am trying to work at the same time you know!) and also to just try to keep my blog from being 20 pages long and really boring……. First off the dishwasher. I went to put the dishwasher on day one, and realised that the little plastic packets which the dishwasher tablet comes in, are a shocker to recycle. As I found out here I can recycle any plastic packaging and film at a seemingly magic place around the corner from my house, but I cannot believe that the recycling value of this tiny bit of plastic is worth doing, or actually even gets done. So, my plan is for this week to hand wash my dishes (our dishwasher is not good anyway, so this isn’t too much of a chore) and then when I resume using the dishwasher, I will collect the little plastic wallets until the tablets are finished (and then take them to the recycling centre) and then go back to buying a big container of dishwasher powder instead. Remember them?! In the days before we were told that tablets in a little packet work so much better and made our lives so easy?! Hmm. I also had a large glass of wine last night, from a screw top wine bottle. Yes the bottle can be recycled but that pesky lid? Again, I have my fingers crossed that I won’t have to make a collage out of sellotape, screw caps and other materials which I have cheated with so far! I will update when I hear from Steve…. My last confession is that I am currently wearing an Invisalign brace, which is a series of plastic trays which I change every fortnight, as they are moving my teeth gradually, and also because I have usually mangled them after two weeks of grinding my teeth and drinking things I shouldn’t drink with them on. So are these recyclable? I am sure my magic place will take them, but really couldn’t I do something better with them? Ideas welcome. And now to that pile of mail waiting for me. Mercifully I don’t get much junk mail since signing up here for junkbusters, which is a great little service. However my predecessors at our house still get a fair bit despite my attempts to get them removed also, and return as much of it as possible. So a fair bit goes straight in the recycle bin. Now for my biggest challenge so far; leaving the house. So after my shower and teeth clean (again with bicarb of soda – tastes awful and doesn’t give you the fresh minty taste, but i think it might be whitening my teeth, so i perservere) and a bit of hair product (bottle recyclable, cap recyclable at the magic place). So I am off, armed with my Orla Keily reusable water bottle and my keepcup full of coffee, I should be okay for beverages. And I take two oranges so that I don’t have to buy any snacks. Back home. Planned lunch is soup which I made over the weekend, again in preparation for this week. It was celery and beetroot, made with onions (veg box abel and cole), celery (plastic bag which I can recycle at the magic place), beetroots (veg box abel and cole – not expensive at all by the way) and also some marigold swiss vegetable bouilion powder……oh…yes that comes in a coated cardboard container with a plastic lid. Uh oh. So lid can go to my magic place, but that container? Another email to Wandsworth and also to Marigold to see what they have to say for themselves. I must confess I ate the soup anyway, and just hoped that I could recycle the packaging, otherwise that collage is getting interesting…. Bath with no bubbles. Too tired to think about bloody waste now. Also better for my garden as I have nifty little pipe out from my bath to water my garden, so the less stuff I put in the better. This is hard! And a bit dull. Tomorrow I am supposed to be going out for supper….that will be interesting…..
← Nil by Bin – Day 1 of my Zero Waste Week – cheating, learning and steaming goodie bags….